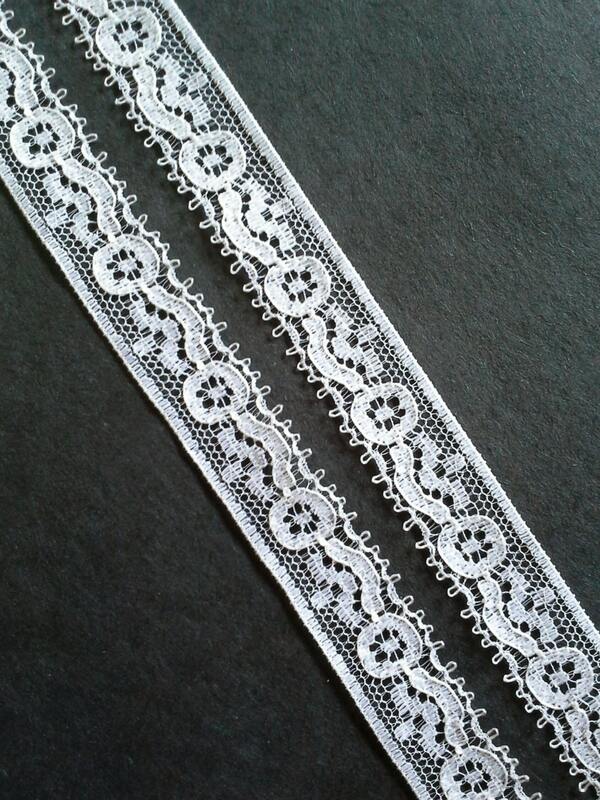 This white lace was found on it's original bolt and is in excellent shape. 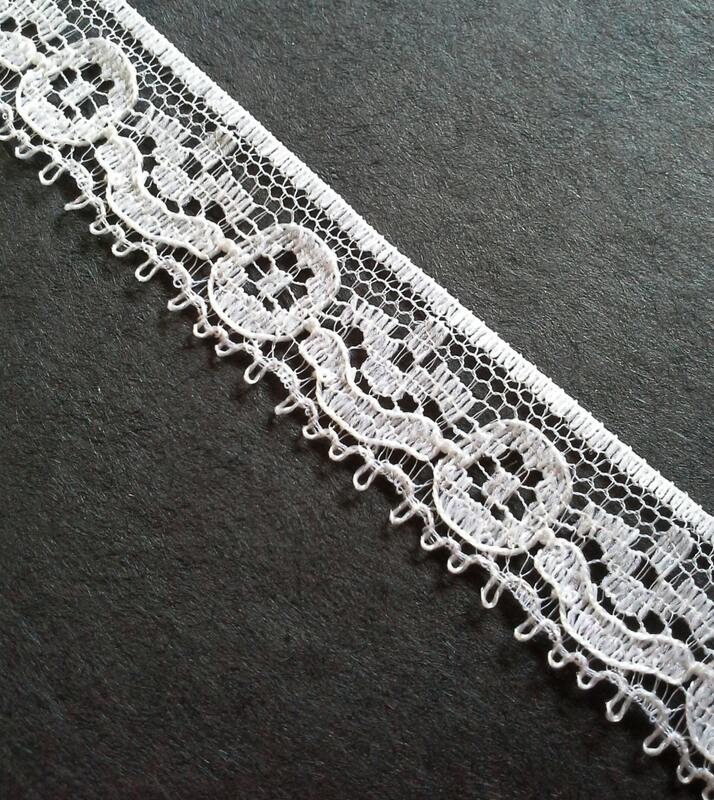 It would make a super cute addition to any girl's dress but it can also be used for crafts and home accessories. 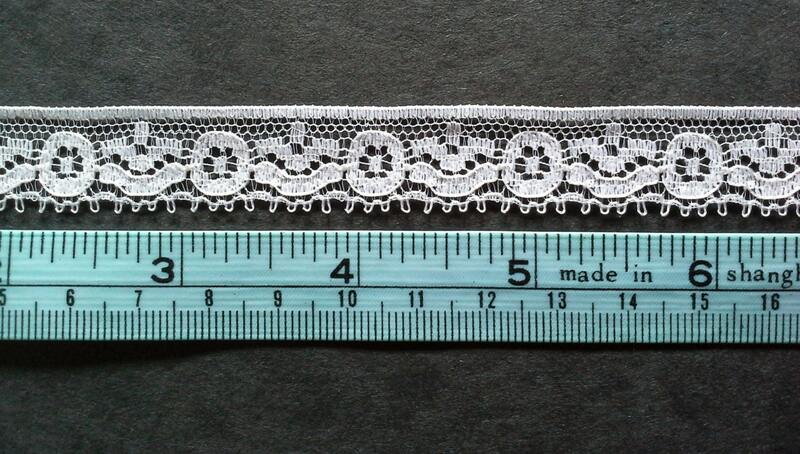 The lace is 0.5 inch (1.27 cm) inch to 9/16 inch (1.43cm) wide. 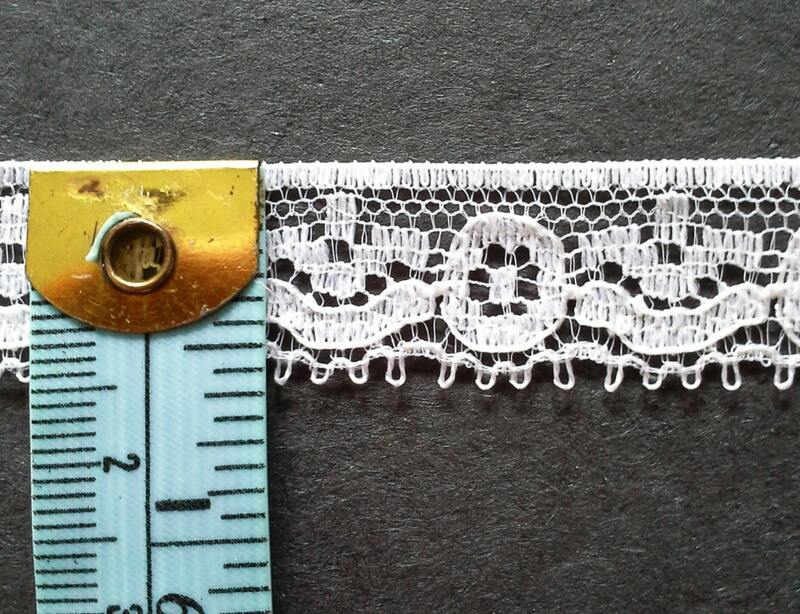 It lies flat and is not a ruffled trim. Item as described and shipped quickly -- thank you!